I've finally found a Superdrug that has a fully stocked MUA stand! Yes! I picked up this lovely lippy along with the MUA Heaven & Earth Eyeshadow Palette after lusting after them for such a long time and getting faced with an empty MUA stand in the city centre. 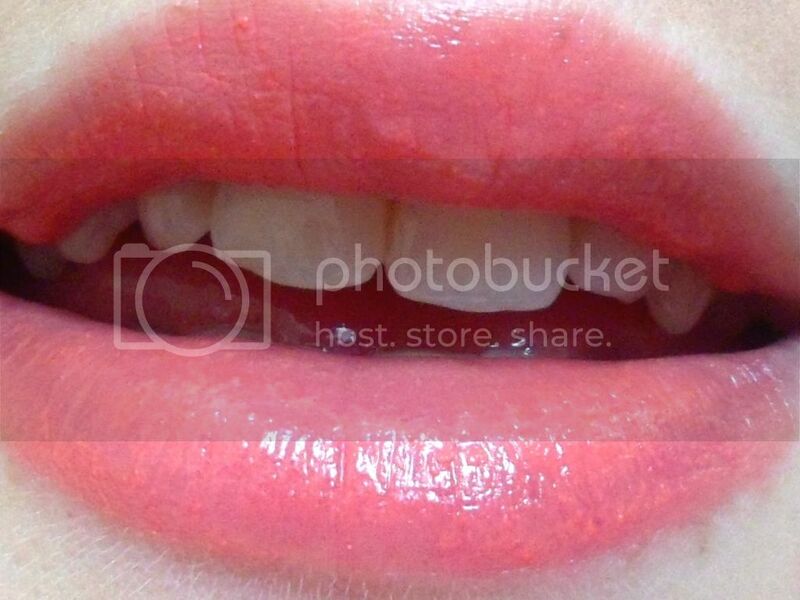 This is the Lipstick in Nectar priced at just £1. The packaging isn't the most exciting, however it is nice to be able to see the product at the bottom as it makes it much easier to find the shade you're after in an extensive Lipstick collection (this doesn't apparently come off, but mine is NOT budging!). As for the product itself, it has a heavy sickly sweet vanilla scent, some of you may be put off by this, I don't really mind it to be honest, it doesn't hang around too much after you've applied it. 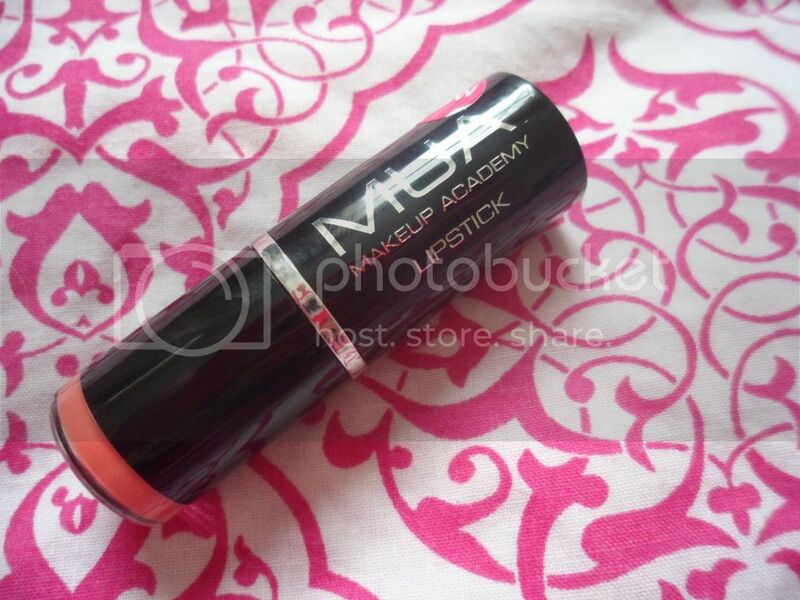 It has a very balmy consistency, very smooth to apply and leaves the lips feel glossy and hydrated. A lot of cheap lipsticks can dry out the lips (Barry M's Lip Paints being a prime example) but these are lovely, it feels as if you've just put on a really nourishing lip balm. 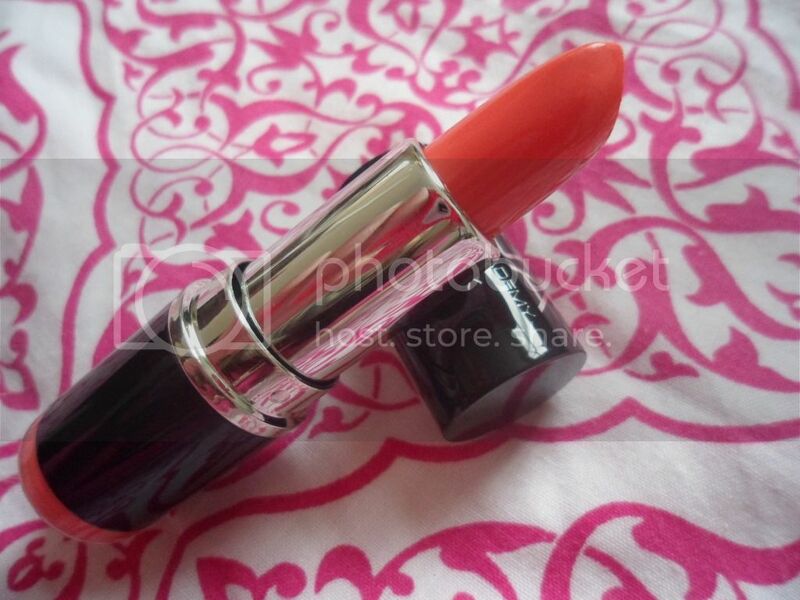 Nectar is a bright orange/peach coral rather than pink and as for pigmentation, it's buildable. You can create a slight hint of coral onto the lips, or build it up to be more opaque, where the orange tones show through. This has been likened to the ever elusive MAC Ever Hip lipstick, which I always seem to miss out on whenever it's re-promoted. 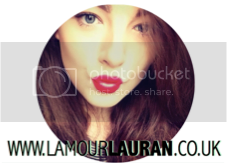 For just £1, I really have nothing negative to say about the MUA Lipsticks. This colour looks beautiful, might have to get one! It's an amazing formula too. Definitely worth a try for just £1!